COME TREAT YOURSELF TO THE SPECTACULAR VIEWS FROM THIS 7TH FLOOR CONDO. 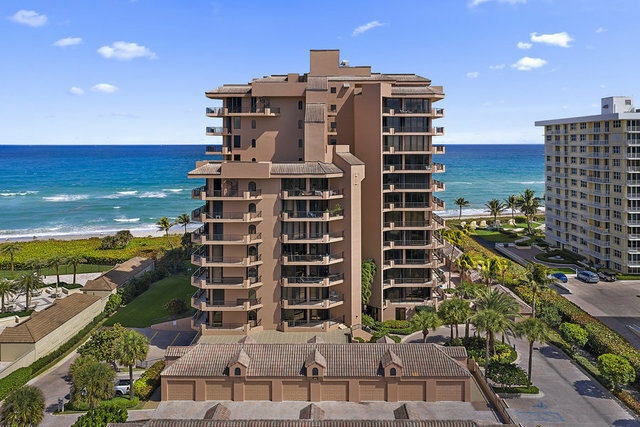 THIS BEACHFRONT CONDO, IN THE NORTHEAST CORNER OF THE BUILDING, IS LOCATED IN THE CENTER OF JUNO BEACH AND HAS DIRECT ACCESS TO THE BEACH. THIS 2 BEDROOM UNIT WITH 3 FULL BATHS IS IDEAL FOR THE SEASONAL OR YEAR AROUND RESIDENT. THE BUILDING OFFERS ON-SITE MANAGEMENT, PARKING GARAGE, FITNESS CENTER, POOL, SPA, AND GRILL AREA. BUILDING IS FINANCIALLY STABLE WITH VERY STRONG RESERVES.